Head over to Amazon and order any of these Mega Bloks Minion Sets for Only $3.99! (Reg. Up To $15!) These add-on items ship with any qualifying order over $25! Mega Bloks Minions Silly TV Now $3.98 Was $9! Combine with other Mega Bloks Minions playsets to build your own Minion mischief! A great gift for any Despicable Me or Minions fan! Mega Bloks Minions Snowball Fight Just $3.98 Was $9! 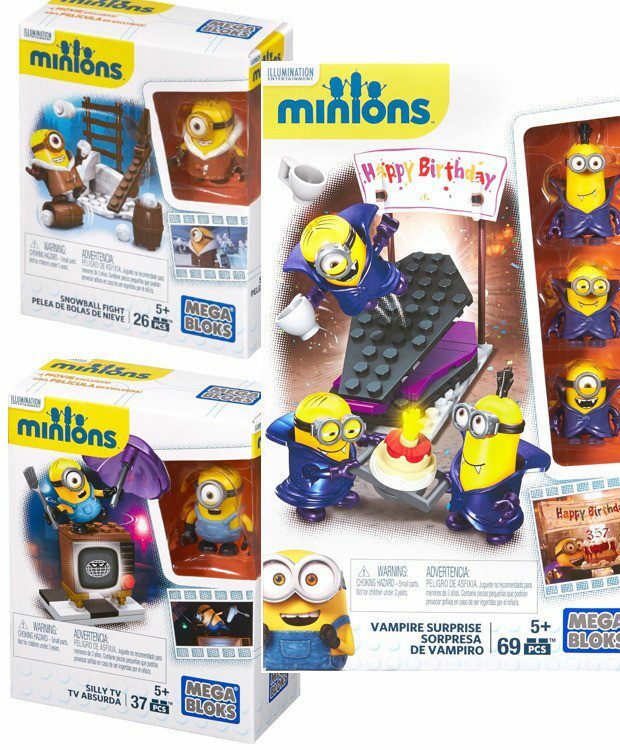 Mega Bloks Minions Vampire Surprise Pack Only $3.99 Was $15! Collect and combine with other Mega Bloks Minions playsets to build your own Minion mischief!